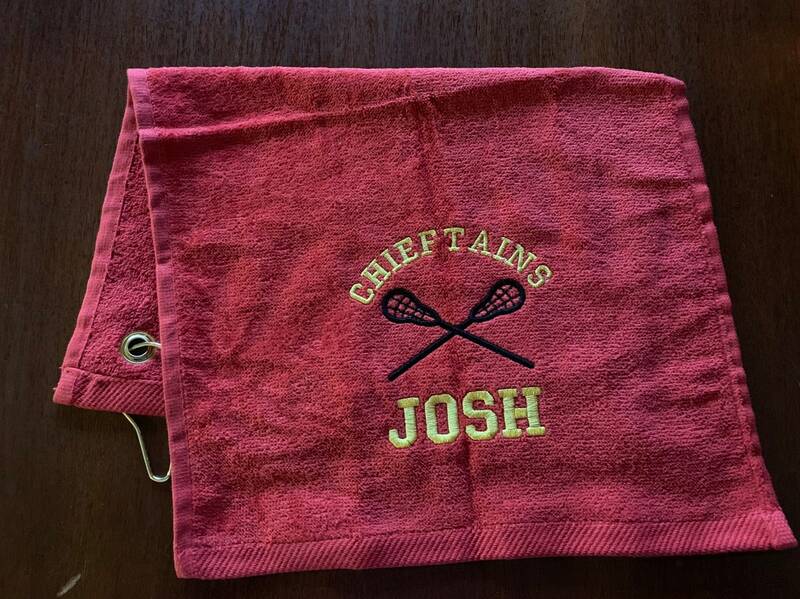 Embroidered Personalized sport towels, with or without hook. Embroidery included in the price. 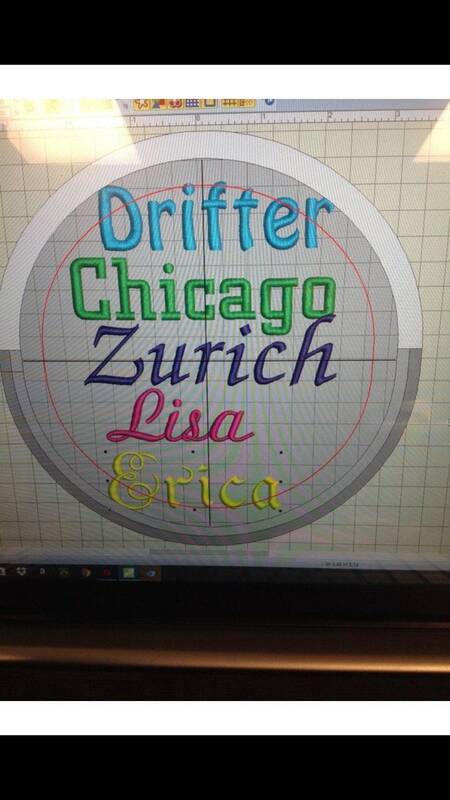 I have most sports designs. 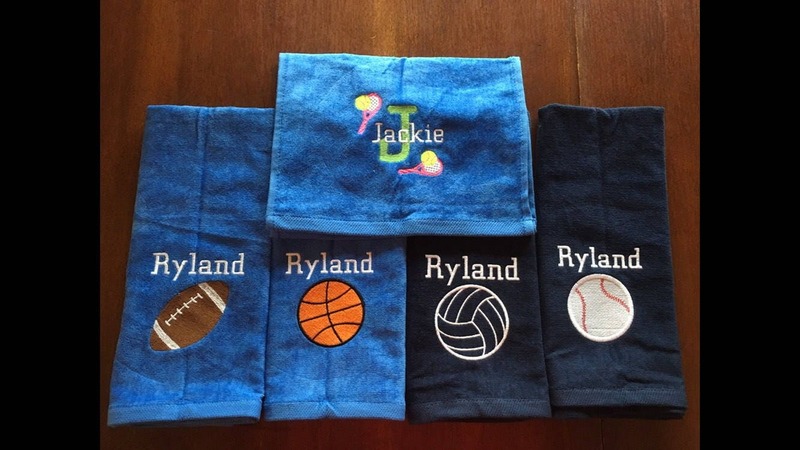 Personalized Sport towel for team sports. Volleyball, bowling, basketball, archery, golf, softball or any sport. Three lines of lettering. This will be perfect for a team. 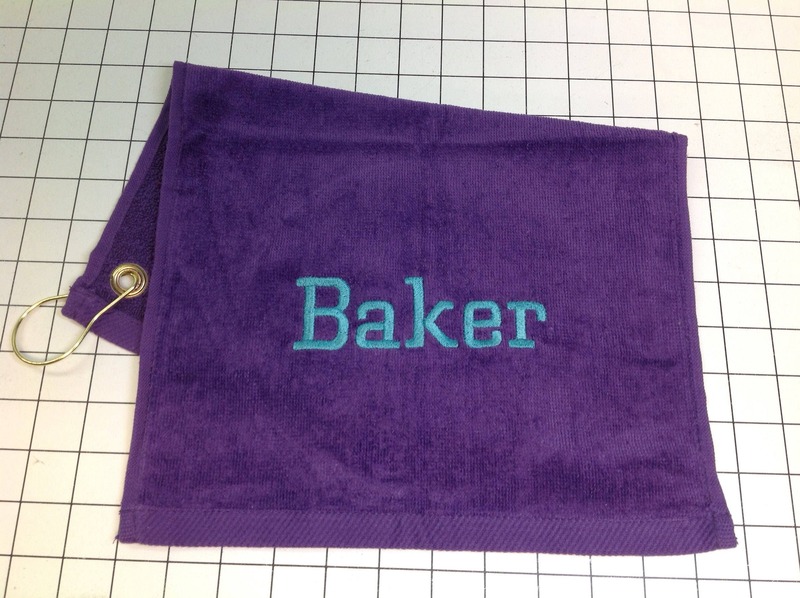 Towels are 11 x 18, 16 x 26 or 12 x 44. Choose in drop down. 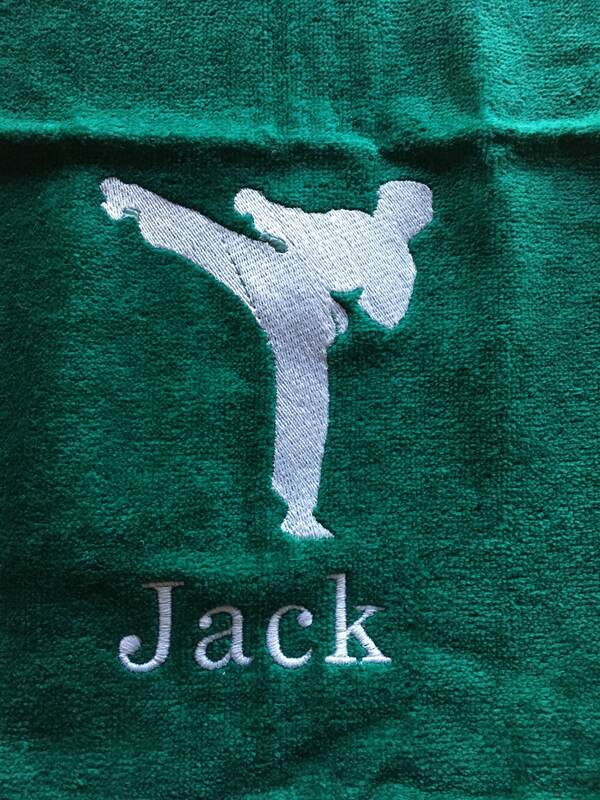 This listing is for 1 towel please list sport, lettering, font and colors. 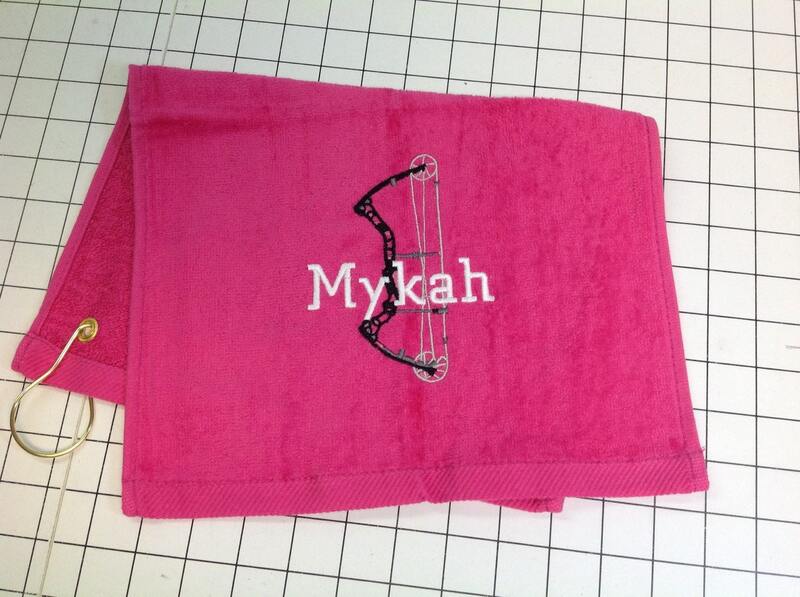 If you would like more towels just let me know and I’ll set up a custom order for you. Towels are any color with 3 lines. I have most colors in stock at all times. Choose color and size in the drop menu. 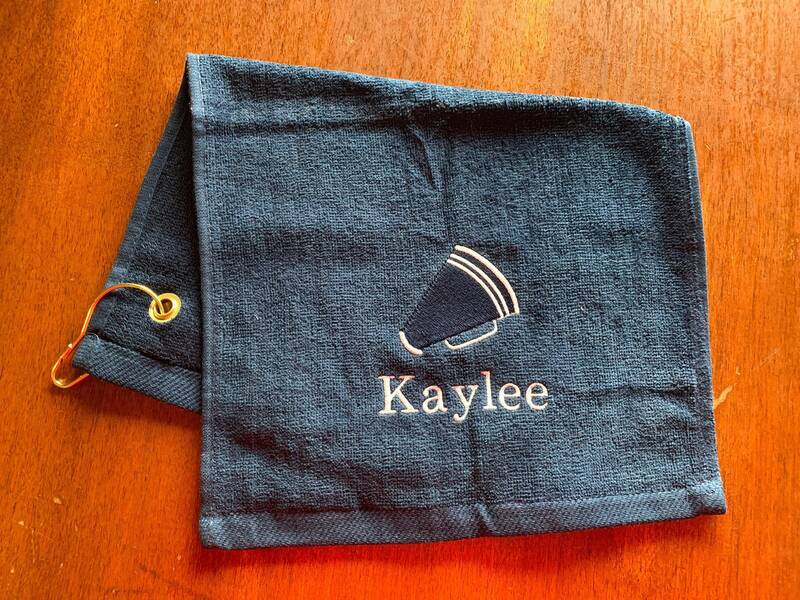 My monogram towels came out beautifully with a nice quality towel ! Very easy to work with and communicated very well. 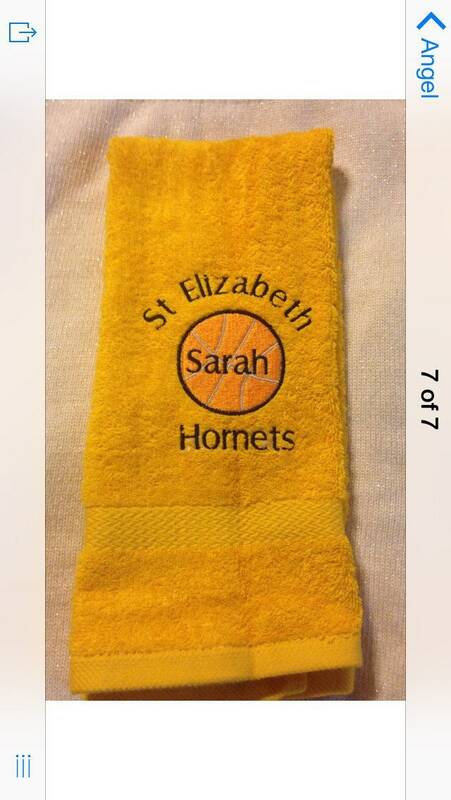 The basketball team and myself were very impressed with the towels! !